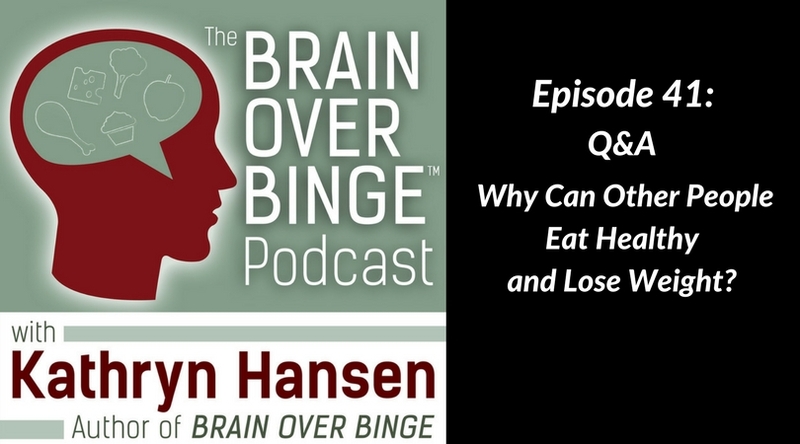 In Episode 41, Kathryn answers a question about comparing yourself to others who are seemingly successful at weight loss, fitness, and health. You’ll also hear information about an upcoming FREE webinar (see below) that relates to the topic of healthy lifestyle changes. *The webinar has ended, but you can learn more about Daniel’s work and program HERE.